What’s the most important thing about you? Is it your accomplishments? The responsibilities you have at work and in your family? Perhaps it’s your nationality, or the education you’ve received? “The most profound thing that shapes anybody’s worldview is their understanding of God. What a person believes about God determines what he or she thinks about how we got here, what our ultimate meaning is, and what happens after we die. So essentially our worldview, our perspective on life, is determined by our perspective on God. “… Whether we realize it or not, our ideas about life, needs, marriage, romance, conflict, and everything else reveal themselves all the time in our words and deeds, inevitably reflecting our view of God. If you listen closely, theology spills from our lips every day” (20-21). 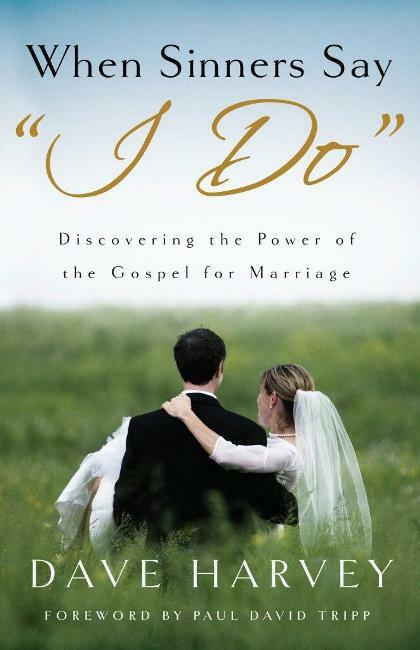 This is why in this book about marriage, Dave Harvey can make the fundamental claim, “What we believe about God determines the quality of our marriage.” But as we’ve seen above, this same claim can be applied to every major area of our lives. So, what do you believe about God? And how does it show in your everyday life, at work and at home?